All Starz is a 13,000 sq. ft. USA Gymnastics Junior Olympic Training Center. We are centrally located at 2634 Airway Avenue in Kingman, AZ. We have several different rooms full of equipment & skill training stations. Bleachers are provided in each room for parents to watch their childrens’ progress. 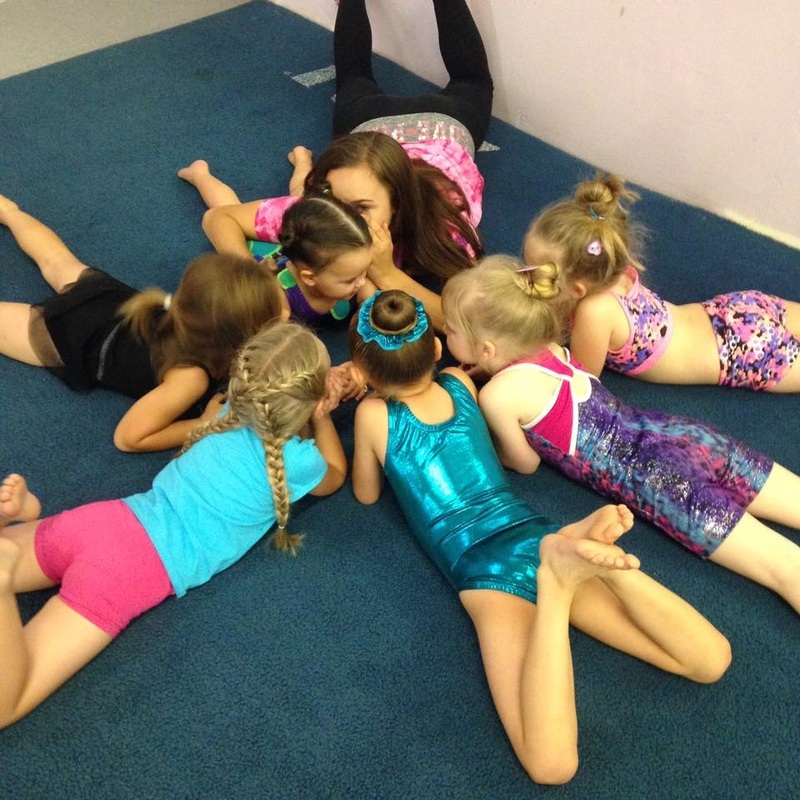 Our USA Gymnastics classes run year round - Monday through Saturday. Choose to attend one class per week or more and receive a multiple class discount. We also offer sibling discounts. Try your first class free! ​New students are welcome to join anytime. ​Monthly tuition will be prorated & you will only be charged for the weeks you attend. We have our own unique system of evaluating & tracking our gymnasts’ progress: It’s called the Star Incentive Program. 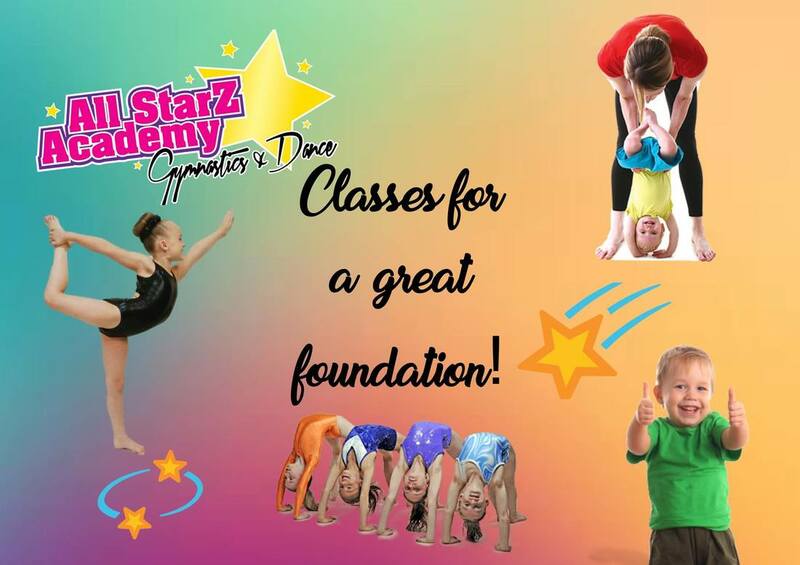 Every All Starz Gymnastic Student who is kindergarten age & older, is given an elastic belt, & placed in the program. The Star Program helps to motivate the students & to allow them to progress at their own rate as they earn stars. Currently there are 14 different class/belt levels at our gym. Every level has a total of 23 assigned “Star Skills”. 20 of the “Star Skills” are on vault, bars, beam, floor, & tramp. Plus, there are 3 additional stars for form, strength, & flexibility. The last week of every month is "Star Testing Week". Every time a student masters a “Star Skill”, a coach will give them a star at the conclusion of class. Stars may then be sewn onto their elastic belt. Students will be promoted to the next level upon receiving 20-23 stars- at the program director’s discretion. (There is really no time frame for advancement to the next level. It depends on the child’s natural ability, number of hours of training each week, and their desire to achieve a higher skill level). Students are generally evaluated on one event per class. They must be wearing their belt to be tested, & to be eligible to earn any stars. Students who are not wearing their belt may still practice & learn, but they will not be tested during that class. “Star Skills Cards” will be sent home every 3 months listing the stars a gymnast has received, and the skills they have left to earn.